Selectable recording formats include XAVC, which supports 4K 60p, Full HD 60p even in 4:2:2 10-bit recording, as well as the common MPEG-2 HD 422 format used by many broadcast stations around the world. Attach an optional Extension Unit (XDCA-FS7) to open up the possibilities of multi-camera shooting and ProRes 422 encoding. Connect an HXR-IFR5 interface and AXS-R5 recorder to support parallel recording and 4K/2K RAW recordings up to 240fps in 2K. *A-Mount* lenses require LA-EA4 lens adaptor. Free clip management tool for both PC & Mac that supports all Sony professional formats.Review footage on location, add metadata and review colour corrections.Seamless upgrade to advanced Catalyst Prepare media preparation tool. Record on-board 4K (4096x2160) at cinema standard 24p in XAVC Intra Format. 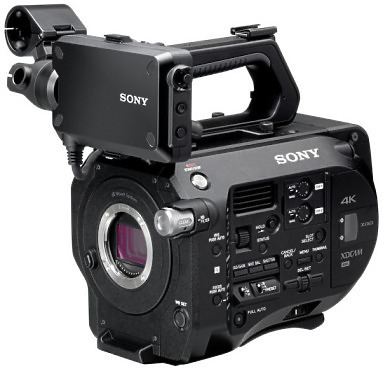 Hire the Sony PXW FS7 Camera from Procam. 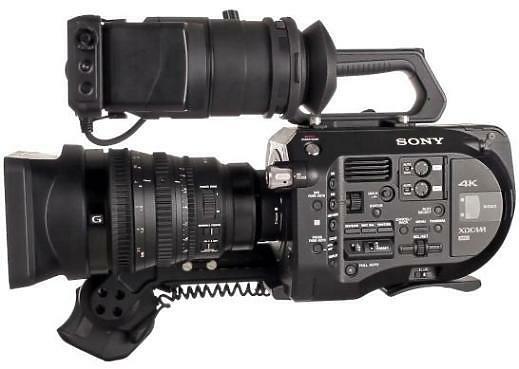 Best service and rental rates for the Sony PXW FS7 Camera and all cameras, lenses, sound, lighting and grip.